Our students are tested to an extent that is unprecedented in American history and unparalleled anywhere in the world. Politicians and businesspeople, determined to get tough with students and teachers, have increased the pressure to raise standardized test scores. Unfortunately, the effort to do so typically comes at the expense of more meaningful forms of learning. far more meaningful measures of student learning – or school quality – are available. Kohn’s central message is that standardized tests are “not like the weather, something to which we must resign ourselves. . . . They are not a force of nature but a force of politics-and political decisions can be questioned, challenged, and ultimately reversed.” The final section demonstrates how teachers, parents, and students can turn their frustration into action and successfully turn back the testing juggernaut in order to create classrooms that focus on learning. If Not Standardized Tests, Then What? This book has deliberately been kept short (under 100 pages) and inexpensive to encourage its widespread distribution. 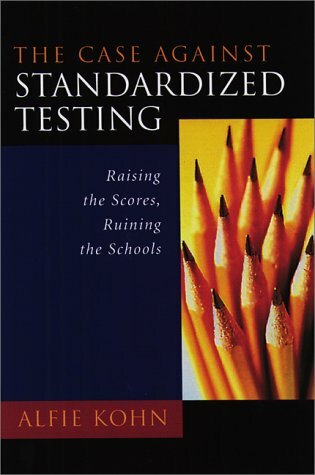 Follow this link to order The Case Against Standardized Testing directly from Heinemann — or call 800-793-2154.